Kingdom, and the United States of America. The contributions are of particular significance to the status of human rights and their legal recognition, as well as to theoretical comparative public law scholarship. The volume suggests in its final comparison of constitutional norms that perhaps constitutional amendments should be made difficult once a constitution has settled into its foundations. The full price for this book when not purchased via the website is: Members £42 Non-Members £70. 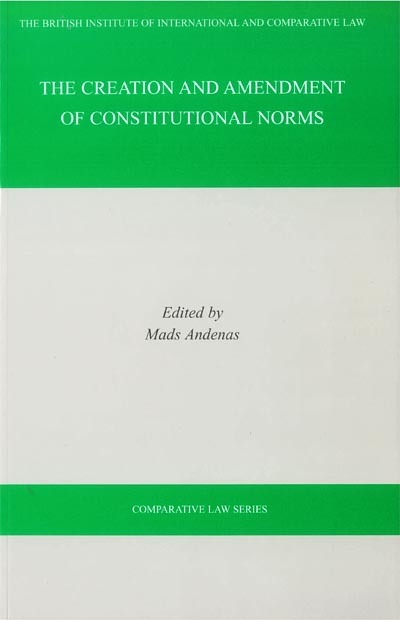 "Creation & Amendment of Constitutional Norms"